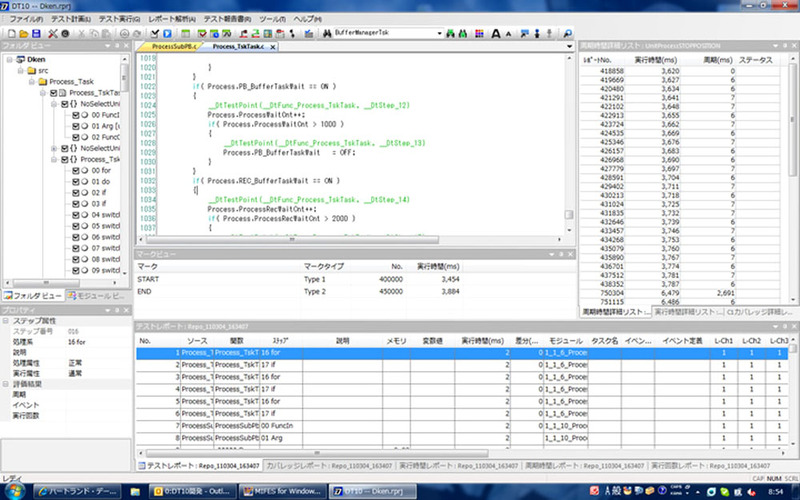 DT10 provides many views such as folder view, module view, source code window, Test Report, coverage report, function trace… etc. If you try to open every view in default settings, you will see so many views in your screen. So it will difficult to see with so many views, please change the view allocation. We recommend the following view allocation. 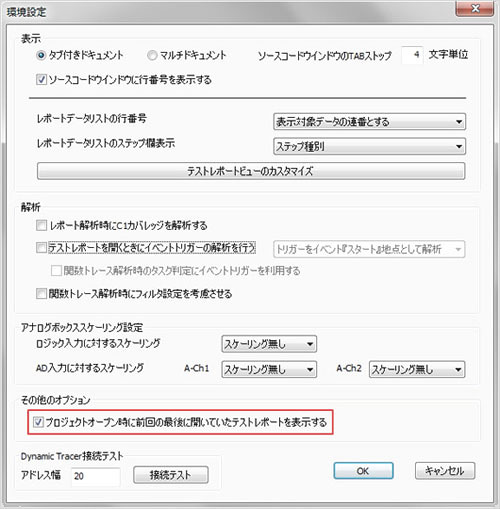 The resolution of screen is 1440×900. Please click the screen shot to enlarge it. The key point is that similar feature window makes docking. The reporting related views such as folder view, module view, Test Report and coverage report put together and the detail list related views such as execution detail list put together; you can switch the view by clicking tab. The organized view leads to the improvement of your efficient work. This view allocation is just a example; so please try to find your best view allocation. You can configure to display the previously opened Test Report at the time of opening the project. When you analyze the same Test Report in many times. This settings leads to reduce your time to find the Test Report. Please select [tool] -> [Setting] in menu. Please check box “The Test report that was the opening at the last end when the Project opens is displayed” and click “OK” button. This setting allows you to open the project with the previously used Test Report. This setting leads to reduce your work.